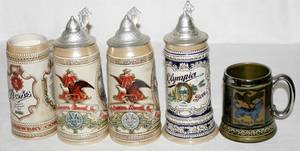 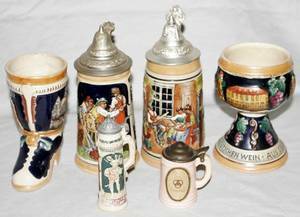 Ten German steins and mugs, early 20th c.
Collection of ten German steins and mugs. 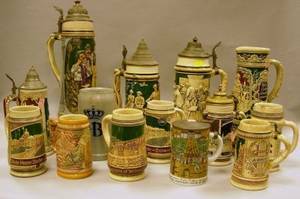 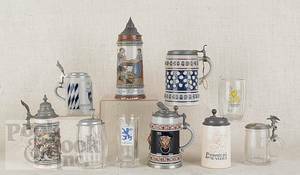 Ten Modern Assorted Stoneware and Ceramic Beer Steins and German Carved Painted and Decorated Wood Wall Plaques. 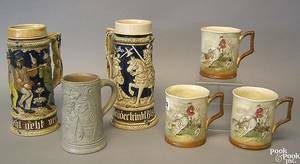 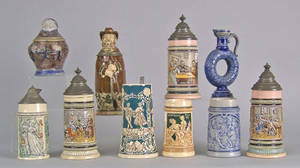 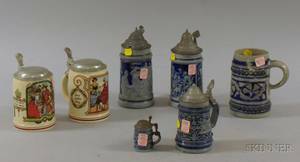 Fourteen Assorted German Stoneware Steins and Two Porcelain Steins.